Lumina Foundation president Jamie Merisotis ’86, Brown admission dean James Miller, policy expert Sandy Baum and economists David Feldman and Robert Archibald gathered at Bates in fall 2011 to debunk the conventional wisdom that college costs are out of control. Roger Williams Hall, photographed by Phyllis Graber Jensen/Bates College. 1. College costs are proportionate to the considerable benefits of a higher education, but schools need better measurements of learning. “We need to shape the accountability movement rather than be shaped by it,” Feldman said. 2. Systemic factors beyond the control of colleges drive costs. Similar to such industries as healthcare and legal services, higher education is delivered by highly educated/skilled professionals whose high salaries are determined by the market. 3. College degree-holders take home about 84 percent more compensation than non-degreed workers. Two-thirds of all positions created in the next decade will require at least a bachelor’s. 4. Colleges spend huge sums on areas like travel, technology and financial aid to create a microcosm of the real world that their graduates will enter. Such expenditures don’t drive productivity, yet are essential to quality and value. 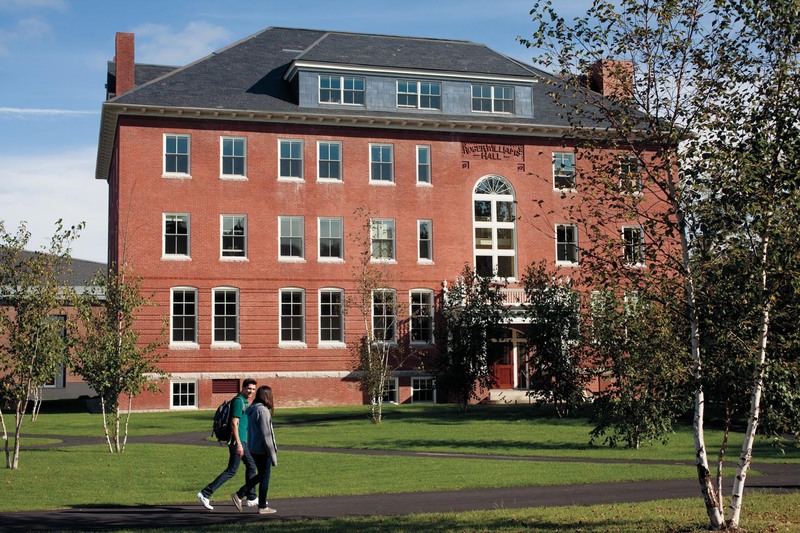 Bates accepted 25 percent of applicants this spring, a college record for selectivity. Applicants base their essays on a part of the Bates mission statement. The Chronicle of Higher Education calls Clayton Spencer’s becoming president a 2011 “best” moment. The average principal of a Bates student’s debt is $18,699 at graduation. Of the CBB schools, only Bates has a multifaith chaplaincy.